Matt is one of the most professionally qualified members of our team, and has received several major awards for exceptional sales results in the Dubbo market, property listing and auctioneering. Settled in Dubbo with his young family, Matt enjoys working in real estate in the local area and has one of the largest client bases in the region. Matt is the president and founder of local Dubbo group, the Inland Waterways Rejuvenation Association, and was named the 2015 Australian National Habitat Hero for his volunteer work to improve the health of our local Macquarie River. 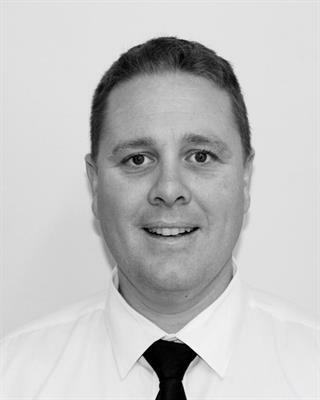 Matt enjoys helping local Dubbo residents with both selling and buying all types of property, and is a fully licensed Real Estate Agent, Stock and Station Agent and Accredited Auctioneer. Matt is also a writer for Dubbo’s local newspaper ’The Daily Liberal’, and also reports as a sports fishing columnist in around 25 newspapers across NSW. Matt takes pride in communication skills and first entered the Real Estate industry after winning several major auctioneering competitions across the Central West. Matt’s dedication and energetic outlook on life enables him to have a great balance between real estate work, his volunteer community work, family, sport and hobbies. Born and raised in the Central West, Matt has a great wealth of local knowledge. Having completed his Real Estate Certificate, Certificate III in Business Administration, Master Real Estate Coaching, Real Estate License and Auctioneer’s Accreditation, Matt is able to combine his customer service skills and enthusiasm in an industry he is passionate about. Matt currently sits on the NSW ministerial advisory committee for recreational fishing, is the president and founder of the award winning not for profit group The Inland Waterways, and is currently ranked as one of the top selling property agents in the Dubbo region.